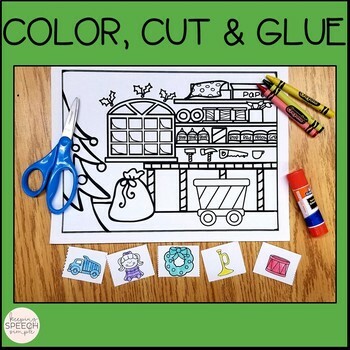 These NO PREP, print and go worksheets are a quick and easy way for your students to engage in hands-on activities while practicing basic language skills during the busy holiday season, when it can be challenging to keep students engaged! Students practice following directions as they color, cut and glue Christmas themed vocabulary on a related Christmas scene or picture. 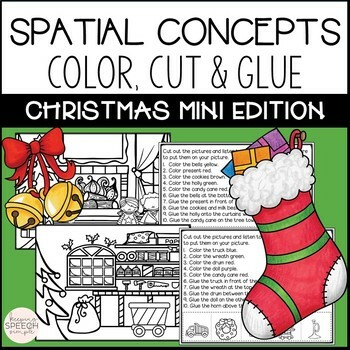 All directions require students to practice basic spatial concepts. There are 5 scenes included and each scene comes with 10 directions to follow. Five of those directions are one-step coloring directions and the other five directions are one-step directions involving spatial concepts. Students will have practice with understanding a variety of sentence forms, as well as spatial concepts. 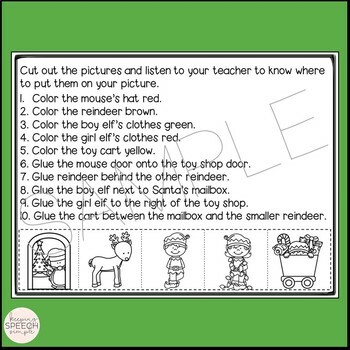 These activities allow for exposure and practice with common Christmas themed vocabulary, which is motivating for skill development! The Christmas themed sheets provide for a motivating context to provide opportunities for developing basic language skills and practicing common vocabulary. 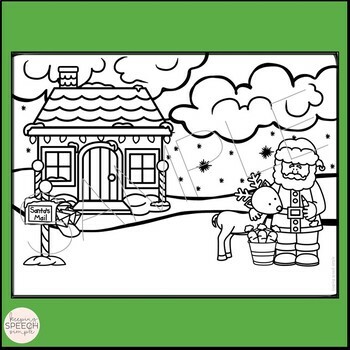 You may also like some of my other Christmas themed resources! Be the first to know about my new discounts, freebies and product launches:	Look for the green star next to my store logo and click it to become a follower. You will now receive email updates about this store.